2008 - Tour-leading 82 wins and 8 titles, and he became world number 1 on August 18, after spending 160 weeks as the second best player in the world. For the first time in his career, Rafa was in the semi-final of all 4 Grand Slams, becoming the first player since Bjorn Borg in 1980 who won Roland Garros and Wimbledon in the same season! He was in his own league on clay again, winning Monte Carlo, Barcelona and Roland Garros for the 4th time in a row, conquering the Roland Garros without losing a set, as the first player since Borg in 1980. At Wimbledon, Nadal prevailed against Federer in 4 hours and 48 minutes to lift the first crown at the All England Club, in the longest final ever at this Major. On the wings of that success, Nadal won Toronto Masters and Olympic gold medal in Beijing, becoming world number 1 on the following day. 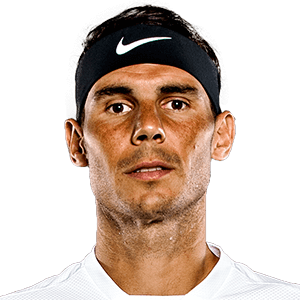 Rafa played only 3 tournaments until the end of the season, losing to Andy Murray in the semi-final of US Open and to Gilles Simon in Madrid, playing his last match in Paris where he retired to Nikolay Davydenko. Tennis - Nadal claimed the sixth consecutive Monte Carlo title, losing 14 games in five matches, only on ein the final against Verdasco!